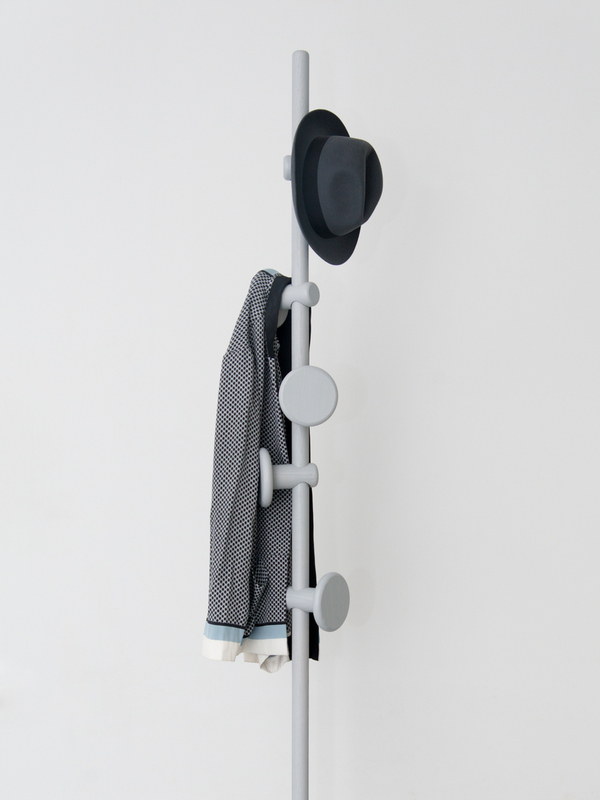 An adjustable coat stand, which is able to adapt to changing needs. 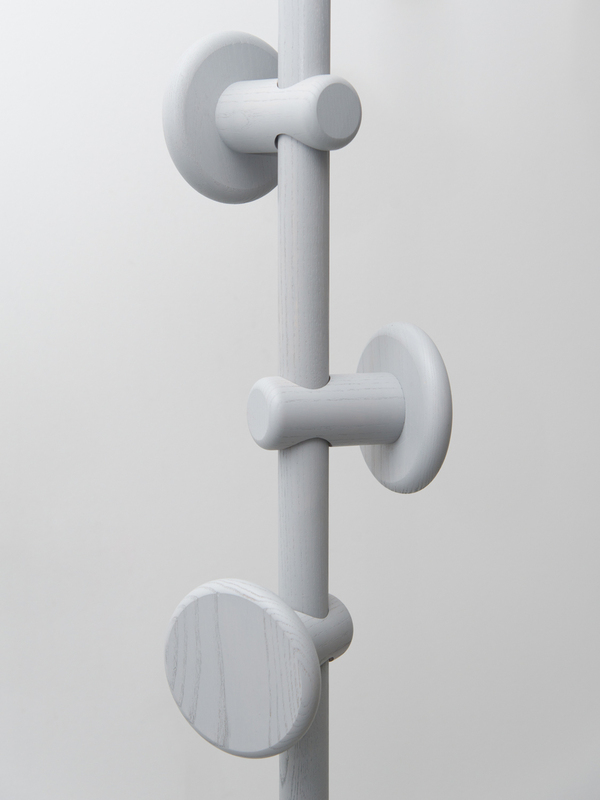 The hooks can be moved up and down and can be turned to face in any direction. They are held in place by a simple, yet highly effective locking mechanism.